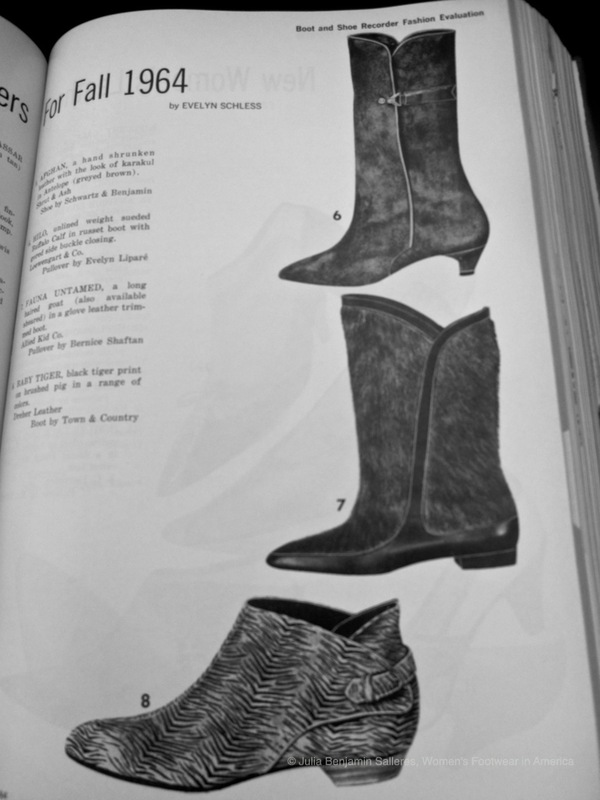 Boot and Shoe Recorder, January 1, 1964. I know, nothing today compares. 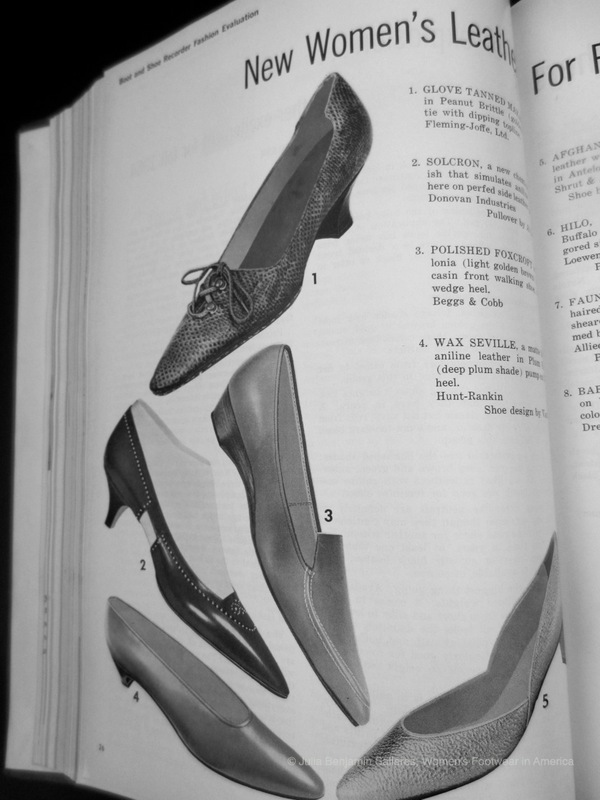 I love those little kitten heels! 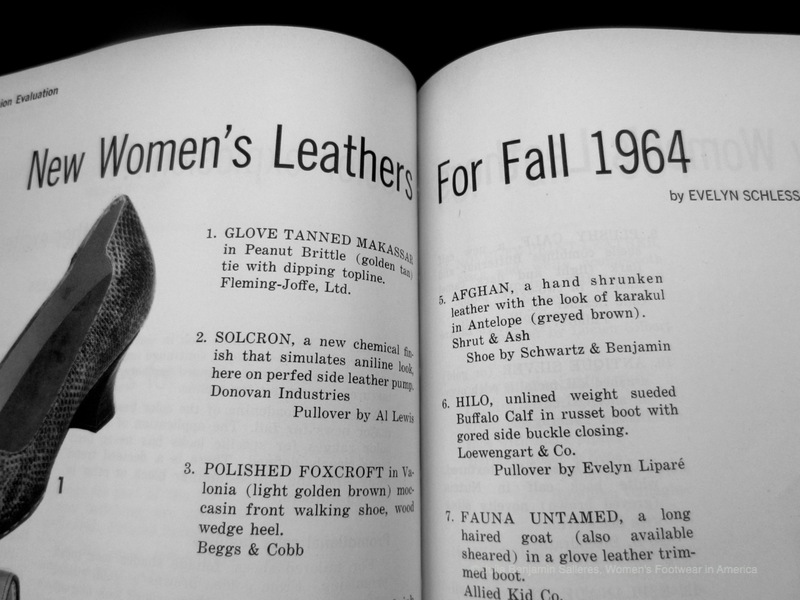 You are currently reading New Women’s Leathers For Fall, 1964 at Women's Footwear in America.